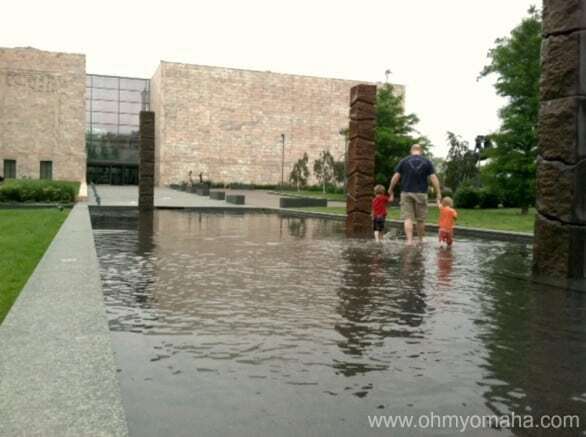 My earliest memory of the Joslyn Art Museum was a class field trip. I don’t recall visiting the museum with my parents, though. I don’t know if they didn’t trust me – I do have this compulsion to touch merchandise at stores, and Mr. Wonderful thinks my tendancy to drop breakables is like that of Chunk’s from “The Goonies.” Maybe they really thought I’d do some damage at an art museum. I see the potential in my kids, too, but I still have brought them to Joslyn. Why not, I figured? It’s FREE now. Ha! Ha! Ha! As if this is how our visit went. I tested the waters recently with Mr. Wonderful and our darling, and turns out touch-feely, children. We – and the priceless works of art – survived, though, and here’s what I learned. The Art Packs are themed and designed for specific age groups. We went with the Shapes pack for our preschooler and toddler. 1. Head to the Scott EdTech Gallery first and pick up a themed backpack (an Art Pack, if you wanna know the lingo). With toddlers in tow, we opted for the mini art pack with a shapes them, which had a board book, a shape sorter and a suggestion on what to look for in the paintings when you roam the museum. Other focus on architecture and sketching and other stuff beyond my kidlets. 2. 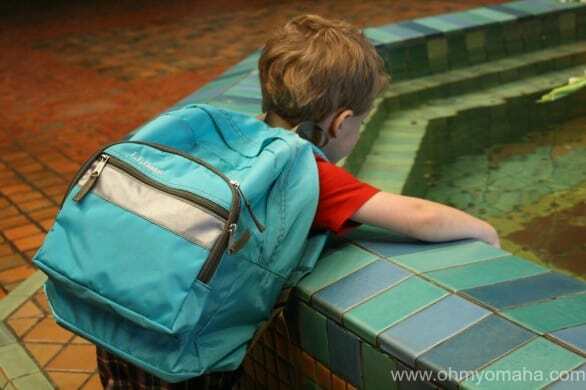 If you have your themed backpack and you’ve done the activities, then it’s time to explore. In an ideal world, you’ll stroll casually with your children and they’d say “Look, Mama! There’s a circle!” In my world, I chase Mooch while Mr. Wonderful shuffles along with Farley, leaving cameras and odds and ends behind on benches. Make no goals and you’ll enjoy yourself. This fountain. I tell you, kids are attracted to it like flies to a Coke bottle. 3. Visit the fountain. You don’t even need to plan it in your tour, kids seem to find this instinctually. It’s a charming area to sit for a spell, while your children splash your back. Fun! 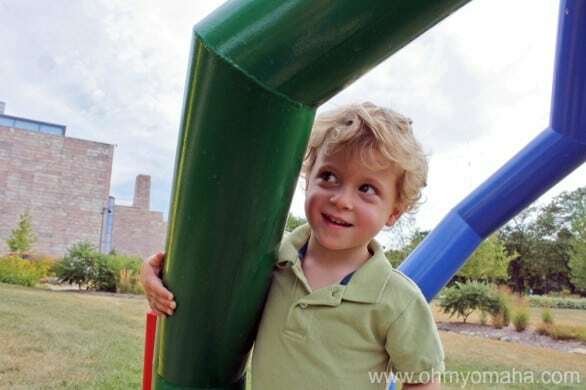 There are zones designed especially for children at Joslyn. 4. Visit the areas designated for children: The Mind’s Eye Gallery and the open space by the Special Exhibit area (near that cool, swirly Chihuly). The Mind’s Eye Gallery often features a well-known children’s book illustrator, like Dr. Seuss next month (yay!). Upstairs, you’ll find a colorful little corner to rest while your little artist draws, reads or wrecks havoc. Add their creation to the other abstract works of art made by youngsters. 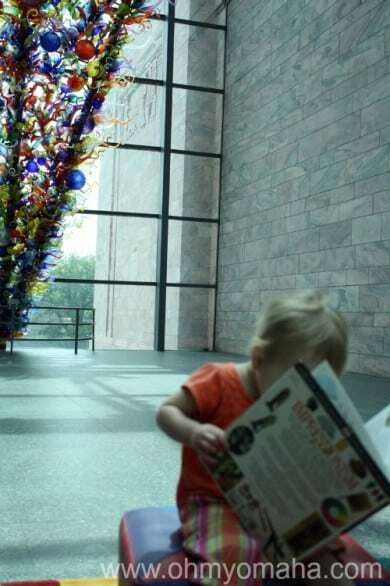 Play, color and read with your children during your visit to Joslyn Art Museum. He’s the Dali in his daycare. There’s a drawer of games that older kids may enjoy playing as well. Younger ones will enjoy the mess they make. 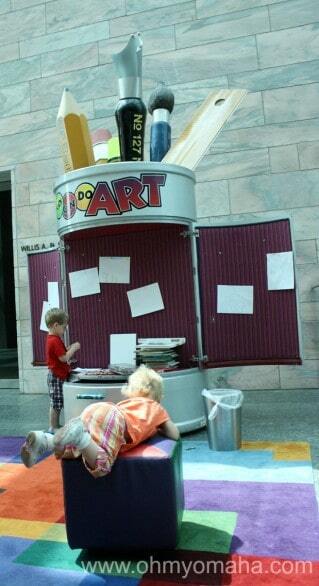 Play, color and read with your children during your visit to Joslyn Art Museum. 5. Consider a trip just to sketch or take pictures. Farley enjoyed taking pictures with his camera (no flash). Farley fancies himself a budding photographer. He’s got the eye. 6. For older children, do a scavenger hunt while you’re there. Get the iArt scavenger hunt for your smartphone here. Farley in the Discovery Garden. 7. 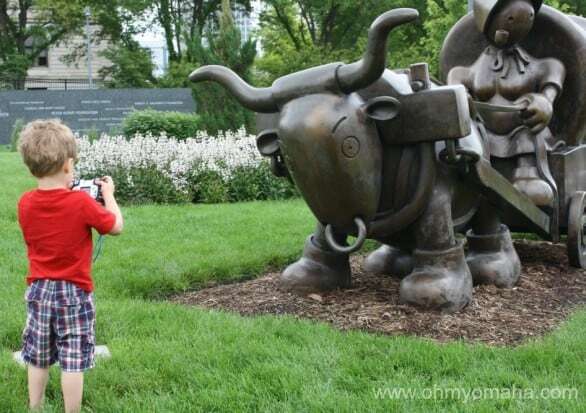 End your visit outdoors with a wild rumpus in the sculpture gardens. On the northwest corner, you’ll find the colorful Discovery Garden made just for children. To the east of the museum is the Peter Kiewit Foundation Sculpture Garden. Yes, you can get into the reflecting pool, which is why I suggested you end here. End your visit on a hot day with a slow walk in the reflective pool. Slow – that was a hard-learned lesson for a particularly scrappy toddler. – A new space called Art Works opened in November 2014 featuring nine stations to explore various forms of visual art, from sculpture to drawing to animation. Read about the kid-friendly space here. – There are self-guided art activities for children every other Saturday morning. See details here. 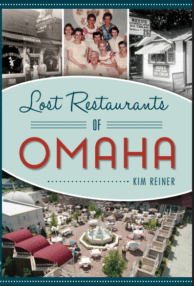 – Joslyn and the Omaha Public Library offer free story time each month. See details here. 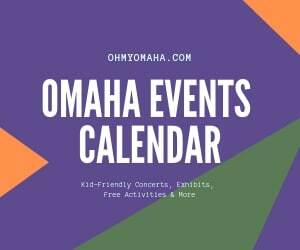 Check back tomorrow for a special post about visiting Omaha art galleries with children. Local artist Lori Elliott-Bartle and freelance art writer Suzanne Smith Arney will share tips on making the most of your visit! Thanks! Of course, I’d be delighted if you share it. I’m happy to help the museum out!